These are some of the sites that will help boost your website or blog traffic, get more twitter followers and earn some extra cash while you do this. Isn't that double benefit? EasyHits4U - It's one of the most effective traffic generating website. I have tried it myself and it works great. 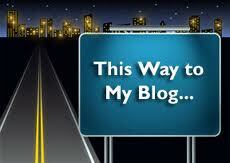 EasyHits4U has increased traffic to my blog 10 times. You also earn $0.30 each time you hit 1000 visits. TraffUp - Add your blog or website here after signing up. You gain points by visiting websites, following people on twitter and retweeting. These earned points can be used to generate traffic to your website, gain twitter followers or get your tweets retweeted. The best thing is to get your tweets retweeted, which increases your websites exposure to thousands of people on twitter. Twiends - Here you can get lots of twitter followers instantly. You need to follow people to gain points, these points in turn get you followers. Unlike other sites Twiends gives you followers immediately. The moment you earn points, you can see your twitter followers list increasing instantly. Clixsense - Get paid to view ads. You can also win upto $5 daily by participating in the Clixgrid contest. I have tried all of them and suggest you all to try them once. They really work.